Yes I have steel and titanium nuts for this studs. What would be suitable lengths for standard application? Are nuts straight cut or domed? Standart length for alloy wheels will be 65 mm total. Last edited by slavesta; 29-09-2016 at 04:04 AM. New kit is ready! And going to UK! I got the kit with three sets of shims to give 1.5-2.5 degrees of camber, my car is raced and I wanted to have some adjustability according to what suited the car on track. I did this with an angle grinder + cutting disc. The kit then bolts back together. I found that the M8 bolts were a bit too long, the ends of thread holes in the arms were severely corroded where the old bolts hadn't reached and I don't have a tap set to clean them out so I cut the bolts to reach as far as the original bolts did. 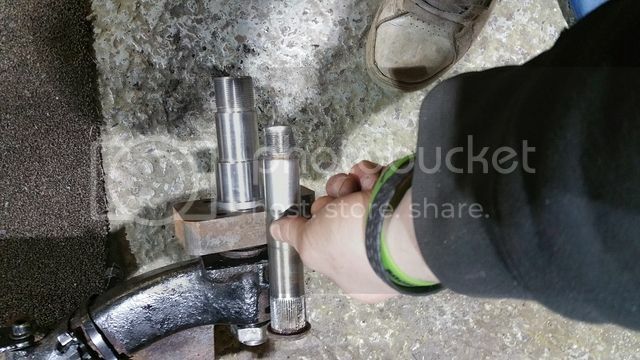 The only other issue was that I found the wheel bearing extremely tight to refit over the new stub axle, I had to wind it on using the hub nut and it took more effort than I'd have liked and maybe a gnats knacker less on the diameter would be better. This isn't an issue in itself but may become one next time I have to take it back off again (more of this in a minute!). The rest of the engineering was very tidy and looked like the kind of thing I'd have to pay a lot more for over here. GMC do a wide track kit that doesn't do camber but still costs £500……. CLICKY . This is with the 2.5 degree shims in, looks like a lot of camber!! I was testing in another car at Donington this week so I took the Pug along and did a couple of short sessions in the afternoon. I raced there a few weeks ago so had data from there as a recent comparison. Conditions were better this week, a bit warmer, but it was a trackday so getting clear laps without traffic was near impossible. I managed to get 1.5 seconds below my best lap time in the race and did a number of other laps below my previous best (live timing is not permitted on trackdays but this was data logged and reviewed after the event). The car felt a little loose at the rear on the straights when I first went out in it but I soon got used to this, it was stable on turn-in and sat well once in a turn. Even with high speed changes of direction down Craners it felt properly planted so I was pretty impressed. Having done a 45 minute race on these tyres already they were untouched on the inside edges on zero camber and noticeably cooler on the inside edges, with the camber I came in with about 15 degrees more temp on the inside edges! I'm going to go to the medium setting as I think it probably is too much on the max and would be a bit twitchy in the wet which is where I usually do pretty well. I'll be doing this today as I'm racing at Silverstone this weekend so hopefully the bearings will come off the stub axle OK .
For anyone considering the lit for road/trackday use I'd be suggesting the lower setting shims would be about right. Last edited by t11ner; 25-04-2015 at 07:16 AM. Many thanks for such feedback! I am glad to help you!!! New kit is ready! Going to Italy! Another one kit is done! Going to Denmark! New type of rear kit is ready! This kit is designed for kit car. 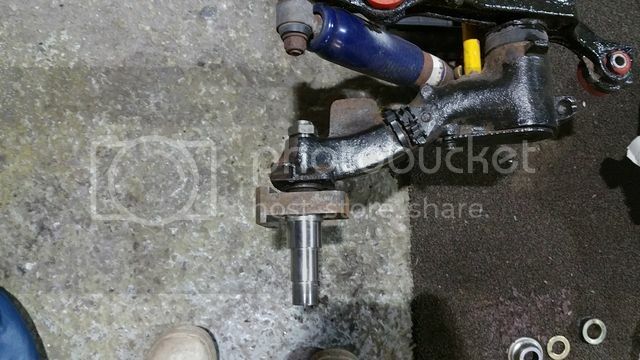 You can use peugeot 406 rear bearing (this is bigger than 106 one). Special shape of kit to make stronger brake bracket to use rear hydro handbrake. This kit wide the track for 25 mm per side. Last edited by slavesta; 03-06-2015 at 07:26 AM. 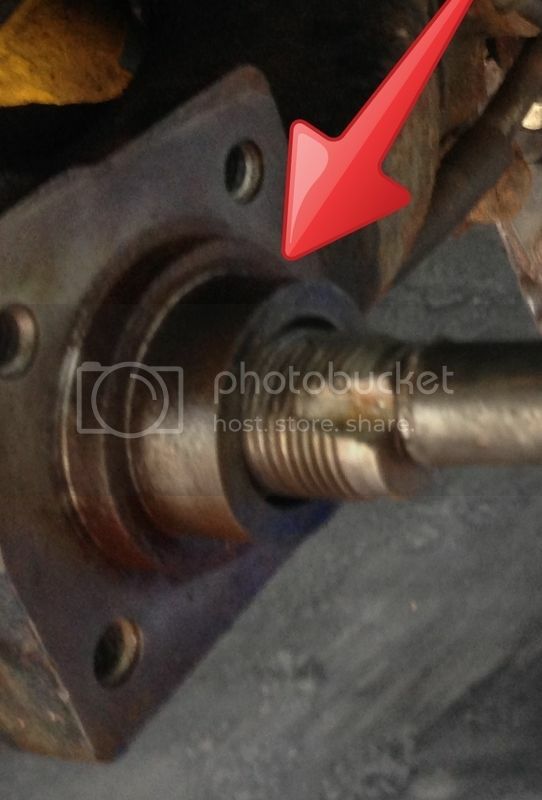 New stud is bigger to use a bigger Peugeot 406 bearing. Could you use those on a drum axle? If I kept the beam and trailing arms but converted to discs? Yes you can convert your drum beam on disc beam with this kit. 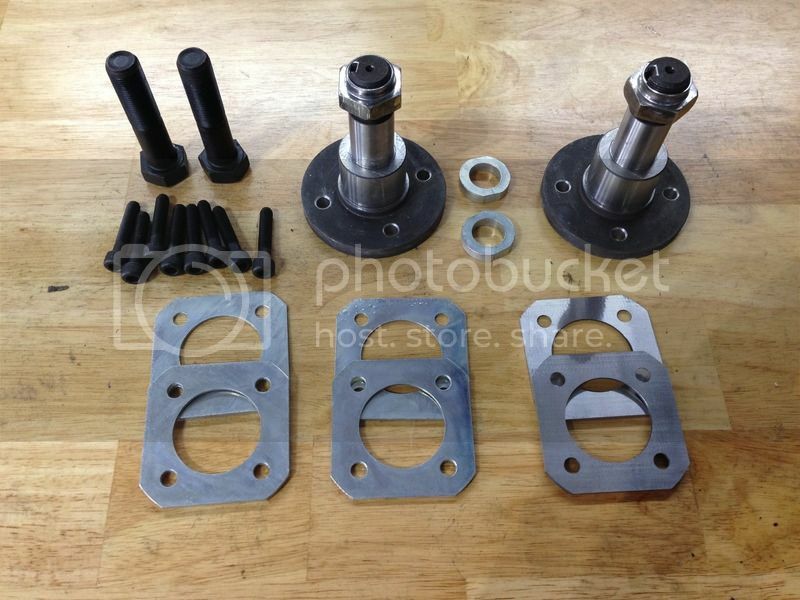 But you will need brake brackets, rear bearings from disc beam. Two new kits are ready!!! They goes to Germany!!! Another one rear kit is ready! New kit is done! New type of zinc coating! Looks like gold! Wider kit is now available!!! Some new kit is done! Waiting for shipping. New Year discount 5% till 10.01.2016!!! What are the dimensions of the stub pin diameter on the standard width rear kit. I only ask as I have been looking into converting my rear drum axle to disc and found the disc bearing inner diameter are 24.97mm compared to 25mm of the drums. Diameter of pin is 25 mm -0,02mm. You can use standard disk brake bracket, it will fits directly on standard place. 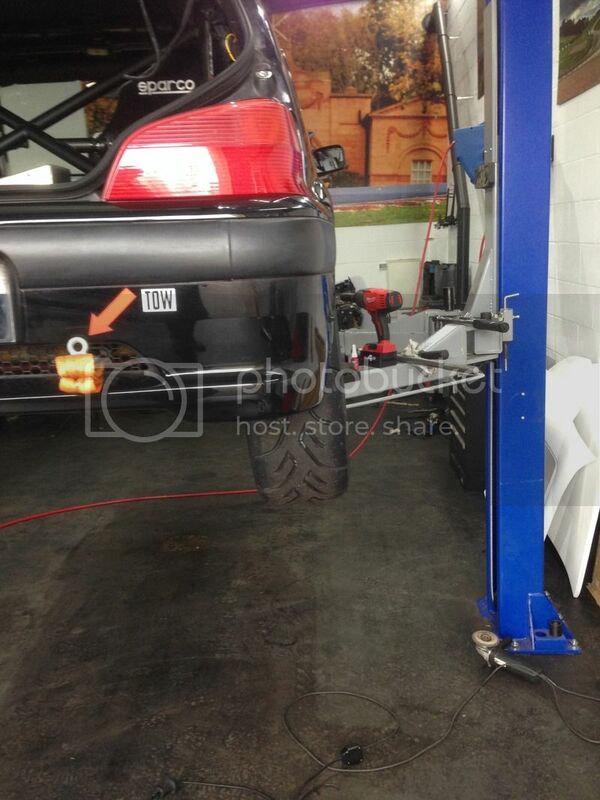 can somebody explain for what is this Negative Camber kit? All this kits for REAR negative camber Saxo/106. Look through all the tread from beginning. New kit is going to UK on racing Saxo!!! Wide track and big bearing kit. Some kits now available in stock!!! I have been looking at this thread already for a while, very nice piece of machining. Some questions that I have before I may order a set. Can you have a predefined camber machined on the stub flange itself instead of using the shims, and just use shims if you want more? Do these stubs still need the wheel hub spacer as with standard stubs? Can you have your stubs so that you don't need to cut the outer section of the arm? Does the track width stay the same with your standard stubs or will it be widened with the thickness of the flange? Just read your manual and it says yes, 25mm. It has been asked before, but it wasn't clear to me whether this was regarding the 406 or the 106 stud type stubs (or may be both) , can you have these fitted on a standard S1 rear (drum type) axle and then convert to discs as fitted on S2 rallyes? 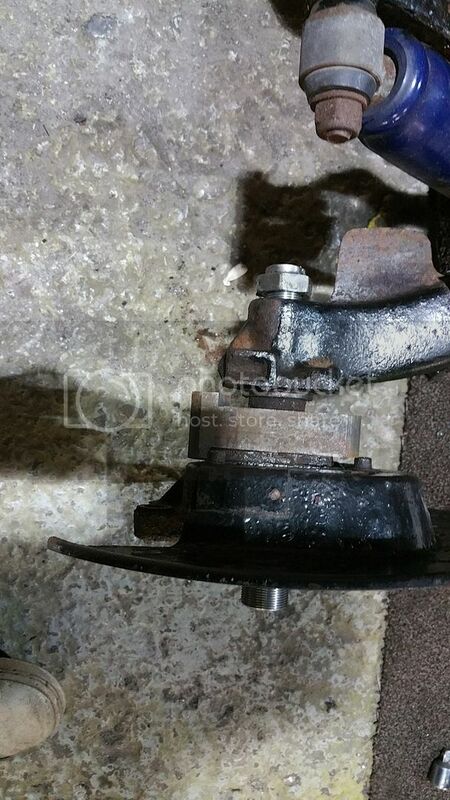 Apart from needing brake brackets and the rest that is specific to disc type rear axles. Last edited by micheldeman; 06-04-2016 at 11:01 PM. 1) We can make an angle on stud part. 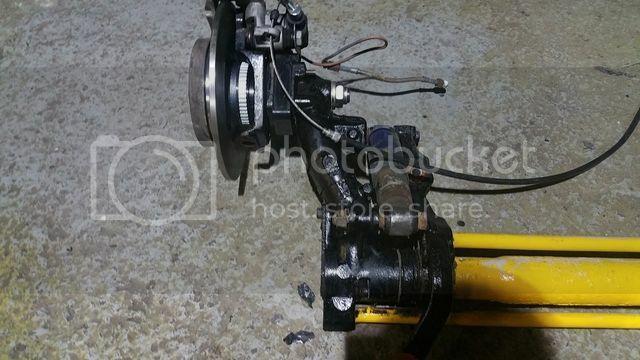 5) I think you can upgrade your drum beam up to disk with our kit you will use brake bracket and stock disk brakes. Some kits are now sold!!! Can anyone offer advice on how negative to go on the shim plates, for a Tarmac rally car? Going to go +25mm I think. Can you supply the +25 mm kit with bearings? How much is the kit delivered to the uk please? For tarmac rally -1,2 or -1,5 will be enough. For our kit you can use your hubs and bearings. In standard kit you will get +12 mm width per side. Shipping to UK is 30 euro. My wide track kit (the first one made) when i finally got around to fitting it. It is our first wide kit!!! Is anyone having experiences with these kits that the bolt on method is strong enough as it's a different construction compared to the original pin pressed in. Other question is, when you have lowered your car, is there a chance that the wheel will touch the arches when track width is bigger? Michel, i presume that the increase in width is then lessened at the top with the camber bringing back in to standard position. 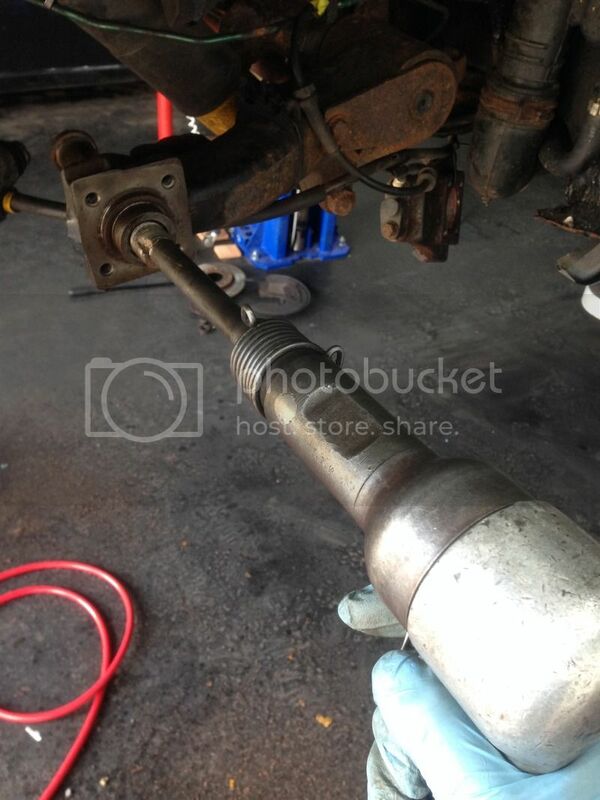 the only way to do it with a normal stub axle design would be to have the trailing arm machined. I honestly think i'll have problems with the kit. Camber will only tilt the top of the wheel maybe 10mm with 2.5 negative camber but spacing looks like 25mm. i'm affried it will scuffing the arches with my Toyo R888 195/50/15. any installed kit with the same setup can clear it for me? I haven't had any issues on my GTi. Our kit adds 12-15 mm per side. We have in stock rear camber kit for big hub bearings. Price for the kit is 215 euro. Kit for big hub bearings! 215 euro in stock! Hi guys I'm looking at buyin this setup. How is everyone paying as they don't accept PayPal.